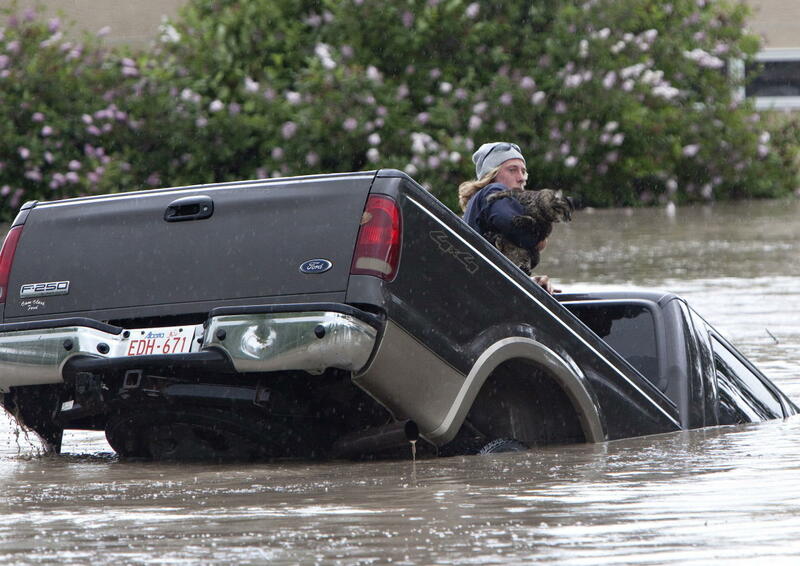 Kevan Yaets crawls out the back window of his pick up truck with his cat Momo as flood waters sweep him downstream and submerge the cab in High River, Alberta on June 20, 2013 after the Highwood River overflowed its banks. 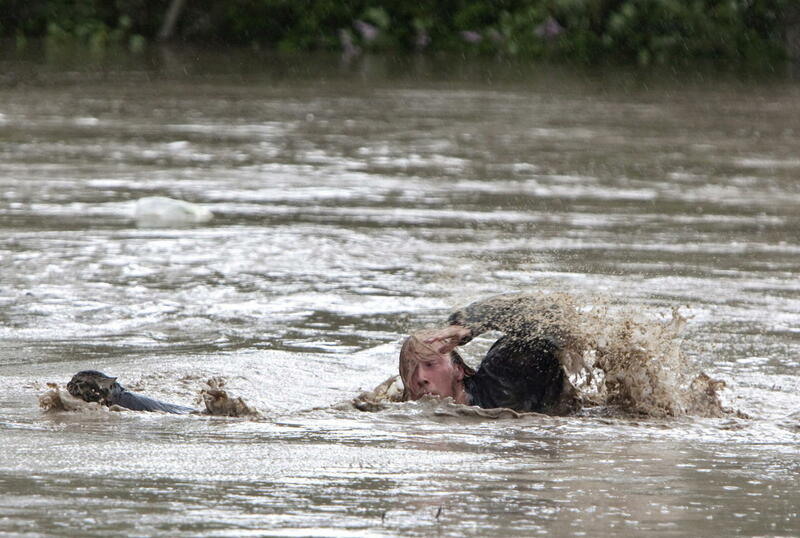 Hundreds of people have been evacuated with volunteers and emergency crews helping to aid stranded residents. 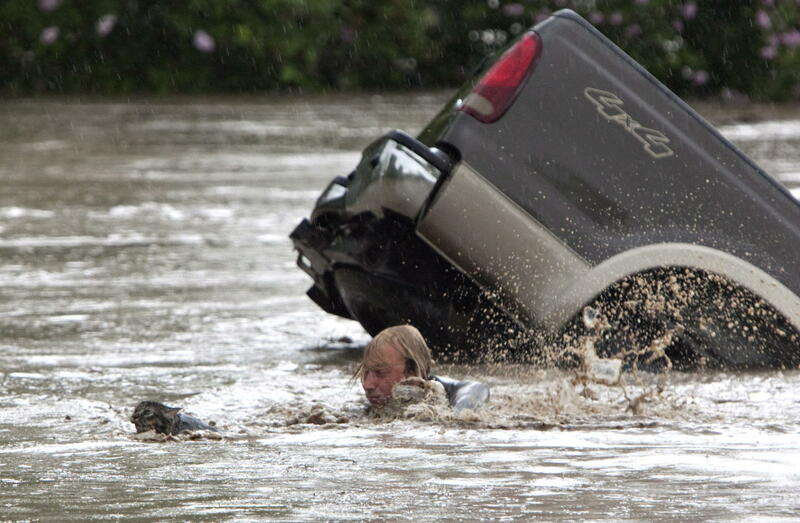 Kevan Yaets and his cat, Momo, made a dramatic escape after Kevan's truck fell victim to the raging flood waters in Alberta. Momo has since become an Internet celebrity for his swimming prowess. Turns out Momo is quite the accomplished swimmer, as he apparently paddles around the bathtub regularly at home.